Phantom Pumps has an exceptional Submersible Utility Pump Line that is stocked with self-priming, centrifugal pumps that perform well in industries such as construction, agriculture, waste water treatment and many others. Submersible utility pumps may also be utilized by municipalities and other government agencies for sewage pump operations, emergency flood water removal and control, and other applications that require pumps that can be submerged in fluids. Phantom Pumps has pump specialists that are ready and available to assist with pump selection. Our team of mechanical and chemical engineers are application experts who can determine which type of submersible utility pump in our line will produce the desired results at your facility. When fluids contain solids or other substances, we typically recommend a submersible sewage pump, trash pump or other type of solid handling pump, whereas if the application involves processing clear fluids, a dewatering pump will often be recommended. 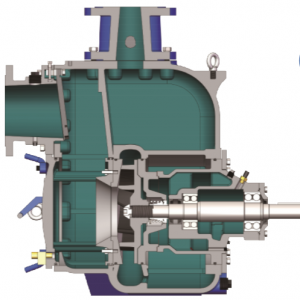 To provide the best recommendation, our pump specialists and engineers also consider factors such as impeller size, RPM and other specifications. All equipment manufactured by Phantom Pumps, including our submersible pumps line, meets or exceeds the highest industry standards. Our quality control is exceptional. In fact, we assemble, test and package every submersible utility pump, ANSI pump and other pump product in the United States. Our pumps are compatible and interchangeable with many well-known pump brands such as ESCO Pumps, Durco, Gorman Rupp and other world renowned manufactures. If your facility needs to replace a broken or worn out pump, you can rest assured Phantom Pumps equipment will perform at the same or better levels. Better still, our pumps are more cost-effective when compared to brand name pumps, so you can see a reduction in your pump-related equipment costs. Contact a Phantom Pumps equipment expert today to assist you in finding the cost-effective submersible pumps and replacement parts for your needs.